‘prevention is better than a cure’. It’s far more likely that any minor faults will be picked up before they turn in to a major problem. 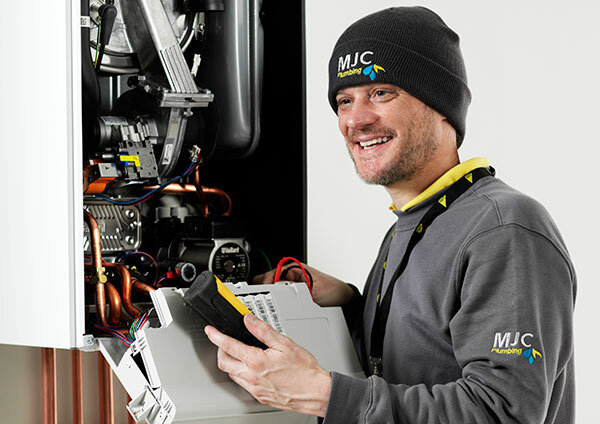 MJC heating engineers offer cost effective advice and ensure that your boiler is always running at its most efficient setting and optimum performance. We offer a basic visual check to a full Inspection where our MJC engineer will strip the boiler and check all heating components internal and external including central heating pump, motorised valves, programmers, room and cylinder stats, and also carry out a compressive check of the property’s plumbing; Ensuring that your central heating is running on its most efficient level and in premium condition. 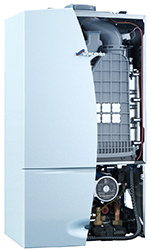 General Boiler Service £89.00 This Service gives the appliance a general inspection and clean out. with a full service history and has been serviced within the last 18 months. been carried out the next service due will only need to be a General Boiler Service. and gas meter. Please note that this is a visual report. gas appliances, listing any maintenance work that may be needed. As of 1st January 2013 Gas Safe brought into force the final stage of its flues in voids policy. It is now mandatory for all flues in voids to have an inspection hatch that should measure 300mmx300mm within 1.5m of each joint. It is essential to check flues every year; as the flues get older rubbers perish and with moment in building, all these things could contrite to wear on the flue joints. We would also recommend that CO2 alarms be fitted. In addition this would ensure optimum safety for you and your family. MJC engineers recommend and ensure your boiler and flues are serviced at regular yearly intervals. There’s a tendency to leave boilers until they develop a fault before we call an engineer out but as our MJC saying goes ‘prevention is better than cure’. Carbon monoxide is very hard to detect due to it not having any odour, colour or taste. It is caused by the gas from your gas appliances (also wood, coal, oil) not burning at the correct mixture with oxygen. If you suspect that you have any kind of carbon monoxide poisoning you must seek medical advice immediately. It is very important to protect yourself and your family. This can be done in a number of simple ways, the easiest being by installing CO2 alarms. We would recommend a minimum having an audible and visual alarm. 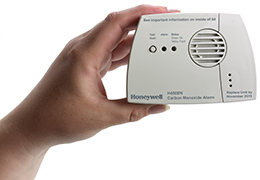 MJC Plumbing work closely with the Anthony Nolan trust and offer a special price to carry out a carbon monoxide test on your home using the latest carbon monoxide analysers and we will fit a Honeywell C02 alarm for £129 plus VAT.